In one of the largest cocaine-method of Germany, the public Prosecutor’s office has filed charges against eight men, and hopes a blow against an international drug ring. It is one of the largest cocaine are likely to be processes of the history of the Federal Republic of Germany. The Prosecutor’s office in Landshut has filed charges against eight men. 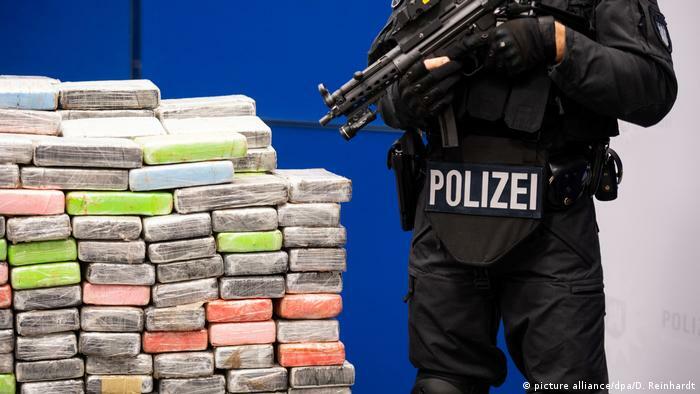 Investigators believe that the defendants are part of a network, which is said to have smuggled between September 2017 and April 2018, approximately two tons of cocaine to Germany. You band is accused of heavy illicit trafficking of narcotic drugs in small quantities. The prosecution is also exceptional, because it is up to the investigators, perpetrators from the middle management level of an international drug-ring. The court documents were see reporters of the NDR, BR and “South German newspaper”. 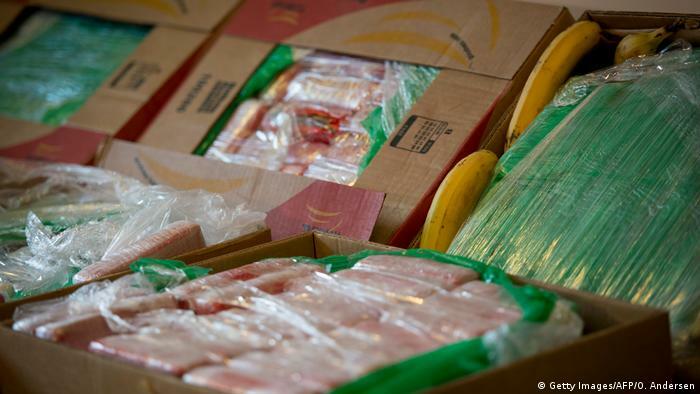 Accordingly, the deeds were, because in September 2017 in several supermarkets in lower Bavaria banana boxes delivered to have been, in the market-employees of cocaine discovered packages. The investigators traced the track of the deliveries and found that it was always came back to slump in so-called Mature halls. In these halls, bananas and other fruit are stored in places and from there to Germany and Europe. With the help of complex monitoring measures, the investigators were able to uncover the actions of the perpetrators. In the meantime, around 500 customs investigators, police officers and prosecutors were in use. In Ecuador, therefore, the cocaine was hidden in banana shipments, all of which were in Mature halls of a certain company in Germany. In these halls, the offender broke in and stole the cocaine, up to 320 kilograms per break-in. To do this, so it set the investigator, should have been flown in specially burglar-groups from Albania. 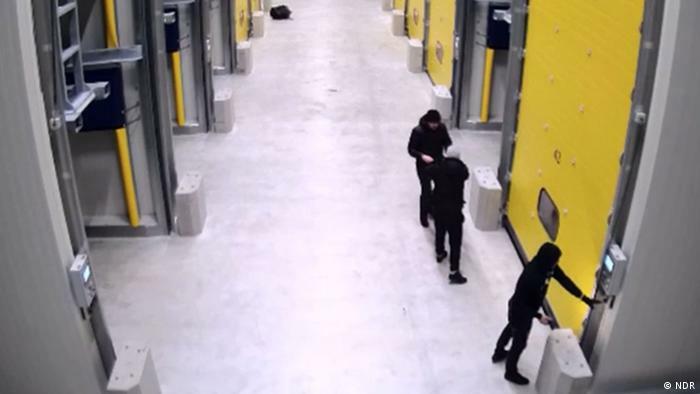 The LKA in Bavaria registered in the preliminary period of eight break-ins in Mature halls in Bavaria, Hesse, North Rhine-Westphalia and in the Saarland. Surveillance videos show that the perpetrators acted some of them are armed. By means of radio cell queries and telephone monitoring were the investigators of the network, ultimately, on the track. And controlled the group has been checked, apparently, from Hamburg, where one of the main accused, the 21-year-old Dario L. had rented a conspiratorial apartment. In this apartment, investigators later found, among other things, delivery notes for bananas. L. should have worked as a “logistics specialist” for the gang, the 25-year-old Klajdi D. to have directed the burglar gangs. The 40-year-old Alberto K. is said to have cited the group as a whole. Apparently, the police observed a part of the group of men as they against intrusion in the Mature halls have scouted. Meetings in a Hamburg Café, where the men met regularly, were apparently observed. In April 2018, the officials then hit in the entire Federal territory and arrested several people. In Ahrensburg, Hamburg and Hannover, they searched rooms in addition to residential, where the forces were two sharp Revolver and more than 30,000 euros in cash. In a separate procedure have been convicted in December, four men in Hamburg who wanted to bring as a courier driver around 180 kilograms of cocaine from Hamburg in the Netherlands. They received multi-year prison sentences, the Hamburg Prosecutor’s office said, however, in Revision, because the sentence was too low. The now in Landshut accused eight men are currently sitting in detention. The method is also unusual in that the investigators were not able to take, apparently, more Suspicious, they belong to the lowest level in the hierarchy of the gang, but to at least have parts of the group commanded. Peter Keller from the customs criminal office speaks of a “success, also in the scene” impression. It was “a vital network, which is disturbed by the successful investigation now”. However, Keller expects that the gang will replace the arrested members. Further behind men in the gang, which is also supposed to be in Albania, the Netherlands, and active in South America, are not yet taken. According to information from NDR, BR, and SZ in the past few months in other European countries and, increasingly, cocaine finds have been made, who also came from Ecuador, and in banana supplies were hidden. The responsible chief investigator of the LKA Bavaria, Jörg Beyser said the NDR that the investigation went on. “We have to try to uncover the men behind the gang, and will focus in particular on intensive international cooperation”. On the opening of the main hearing, the courts to decide now. Attorney Hubertus Werner acts as a defender in the upcoming procedure. He said it would show only in the process of how robust the evidence is. In particular, the evaluation of the radio cells and the closed membership of an individual accused of a crime group criticized Werner. He spoke of an “occasion-contact Monitoring”, which was, in his view, is legally difficult and do not agree with the code of criminal procedure. The lawyer expects a lengthy process: “I assume, that already alone due to the large number of accused and the number of lawyers it is very complicated, the facts of the case to fully investigate,” he said.